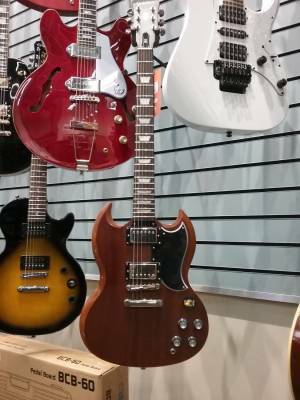 The Epiphone Vintage G-400 Electric Guitar plays fast and is a super value. 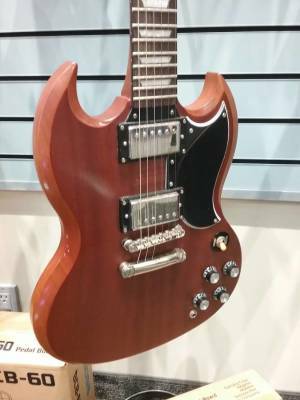 Epi has re-created this SG-shaped legend using a worn satin finish and aged fretboard inlays that give it the look of a cherished original. Crafted with chrome hardware, a mahogany body and single-piece set neck with rosewood fretboard, LockTone Tune-O-Matic bridge and stopbar tailpiece for more sustain and easier string changing, and armed with a pair of Alnico V humbuckers, this guitar is ready to rock right out of the box. to the 1ST reviewer,you may think the epiphone is one piece of mahogany but its several pieces sandwiched together with a very thin laminate to make it appear to be one piece of mahogany. i had the korina epiphone 58 flying v reissue and it was the exact same thing laminate top and back and pieces sandwiched in the middle,so its like meat with bread or a sandwich made of wood.this is also how the chibsons are made but they only use a photograph or very thin laminate of flamed or quilted maple covering the multiple pieces of wood. I had the p90 gibson sg and the hum from those pickups was unbareable. 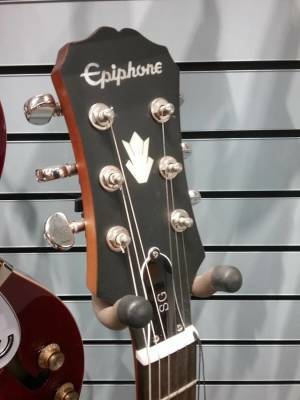 I asked to try the worn epiphone and loved it right away. It sounds amazing and the guitar body was 1 solid piece of wood instead of 3 pieces glued together like my gibson was. 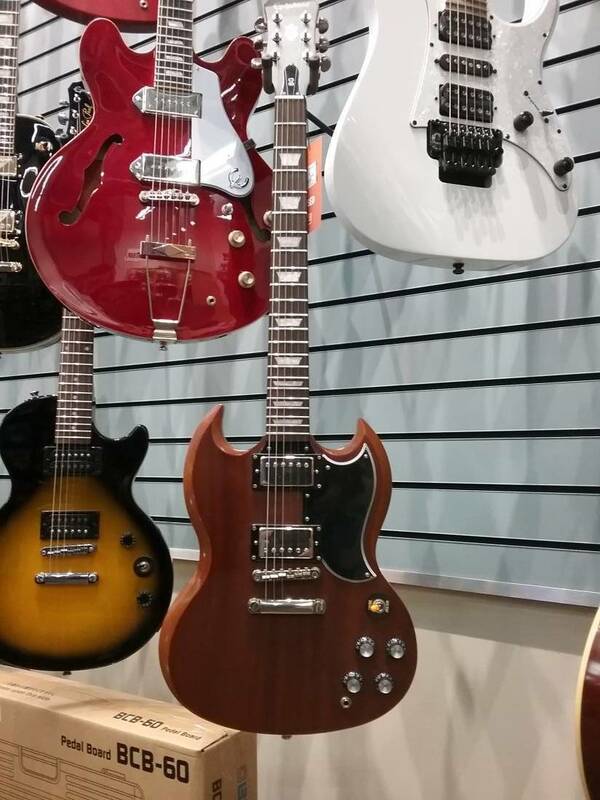 I got rid of gibson sg for the epiphone. I've seen an SG at other stores and the price was really good at L&M. the guitar it self is a beauty, comfortable to play sounds great and I ve started about an year and half this guitar is great, the was a lot of choice for colors (even though that is irrelevant but i found what I wanted rather quick. If you wanna buy a new guitar you should really consider this one. I bought this guitar back in August, 2010. Being a little skeptical because the price was so cheap, I thought I would give it a try anyways. I must say, very impressed with the sound. Like other SG's, it has that classic crunch sound. Working your way up and down the neck seems natural, and the guitar definitely has presence. If you are thinking about getting into electric guitar and you are a little strapped for cash, I would highly recommend this one. Definitely alot of bang for your buck.